Jaws, from the james bond movies, would likely be about the worst excuse for a 'hitman' possible. Sure he's a strong, tough giant with steel teeth who can bite thru trolley cable. So what? First off he's a giant, making his obviously recognizable in a crowd. Who is he really going to sneak up on? Any competent guard could spot him a mile off, and if he's so well known in those circles who would he be going after that didn't know about him? International law enforcement would have to know about him, Interpol would surely have him on record, he can't get past a metal detector and what's his big gimmick? He bites people to death. Who could stop him? Well, anyone with a good gun. Gimme a .45 or a 10mm loaded with high power rounds and I''l be hollering "TIM-BERRRRR" after I put 3 in him. Her was most effective in the movies when the enemy had no gun for one reason or another. Jaws was mostly comedy relief, in reality he'd be a terrible excuse for a hitman. well in 'reality' Bond would be a terrible excuse for a spy (especially Roger Moore's Bond), so it all kind of evens itself out. also the notion that "anyone with a good gun" could stop Jaws is rather self explanatory...if you're trying to go for a realistic approach, then who does that logic not apply to? I had to take a moment when I realized that Uwe Boll was actually more than capable of making a good film. I watched the movie Darfur, burst into tears at the end of it and was shocked to find out who the director was. I've not seen it, but I believe he did one about the Korean war that was well received. Um, someone who doesn't stick out like a sore thumb? Someone a guard couldn't spot in a crowd? Someone who's trademark kill doesn't involve getting close enough to bite someone's neck bones? 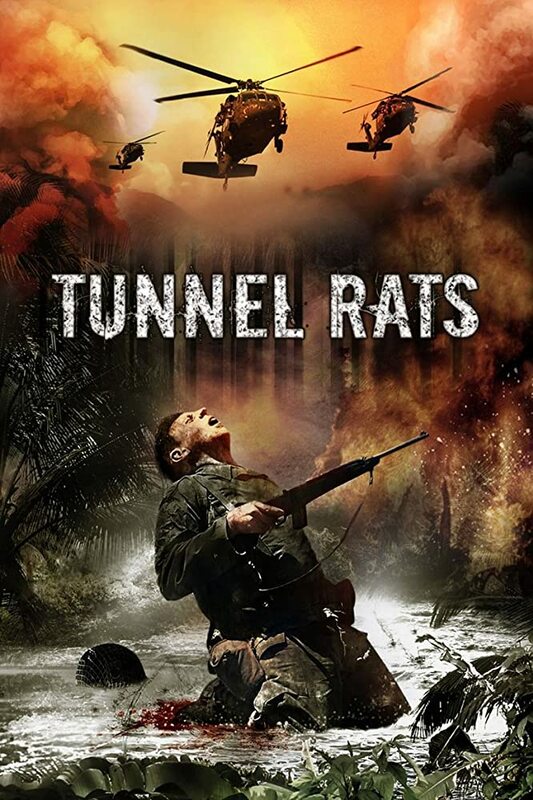 I don't know if it's the one you're thinking of, but he made a film in SA called Tunnel Rats / 1968 Tunnel Rats dealing with the Vietnam war: it's not every war movie that has the song In The Year 2525 as its' theme tune. Pretty much every slayer movie ever. Most of the killers walk extremely slow and a lot of times they're just normal people that can be gunned down like anyone else. I guess it works because they always stalk stupid teenagers, but sometimes you wonder why they don't just blow them up or cut their heads off. No, let's run away from them, trip like idiots, and break our ankles so the killer has an easy time. A lot of nature's revenge films where the killer is just a normal animal. Not one that's been mutated by radiation or possessed by a demon. Just a normal animal, like the crocodile in Lake Placid or the snake in the first Anaconda movie. These are creatures in real life have been hunted to near extinction or are facing habitat loss, so we humans clearly outmatch them. I like your thinking about Jaws. He's a scary movie villain but would be terrible as a hitman in real life. Also when you think abiut it woldn't the death star explosion over Endor in return of the Jedi have xxxxed up the planet by hammering it with massive debris? Double tap for the win.